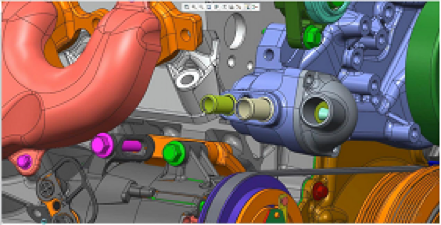 Creo Parametric is the latest release of 3D CAD software from PTC. It supports all the best practice in design development, while upholding all industry standards. Ensure you can face all the modern day design challenged, with Creo Parametric. Advanced parametric 3D CAD abilities allows for remarkable flexibility in design and manufacturing. Extensive scope of design possibilities enables faster implementation of new products. Fully integrated with Creo product family, allowing for data sharing and easy user collaboration. Capable of adapting to design modifications, even late in the development process. It is a powerful, yet flexible, 3D CAD solutions. It enables users to access multi-CAD data, electromechanical design and also accommodate late-stage design modifications.